Intertops Poker and Juicy Stakes Casino are celebrating March Madness with a series of free spins bonuses on some of their latest and greatest slot games from Betsoft. If you've made a deposit in March you're eligible for up to 100 free spins. Featured games are Stampede, Arrival, Charms & Clovers and Glam Life. The madness continues until the end of March. You can claim one of these bonuses per week. They can be used in any order and can be used more than once. 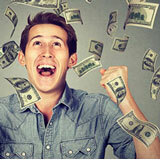 There is a 30X roll over requirement for free spins wins and a max cash-out of $250. Betsoft games are known for brilliant graphics and generous bonus features. Stampede takes us to the high grasses and spreading acacia trees of the sun-drenched African savannah. Majestic elephant herds rule supreme. This game pays out for all combinations of contiguous symbols so there are 1024 ways to win. Scatters trigger up to 20 free spins – Wilds during free spins can multiply wins up to 3X. Arrival is a futuristic space fantasy where an unlikely hero rescues a girl from the gripping hands of an evil alien mastermind. Just the thing for St Patricks, Charms and Clovers brings ancient Irish myth to life in gorgeous high definition colour. Its innovative sixth reel controls four distinct bonus features. With diamonds, yachts and champagne spinning on its reels, Glam Life is a game for those that enjoy only the finer things in life. Intertops Poker and Juicy Stakes host a busy online poker room. They also offer slots and other casino games from Betsoft, Worldmatch and Lucktap -- there are more than 130 games under the Betsoft tab alone.